The ANKY® Shaped Bridle is made of top quality analine tanned, English leather. 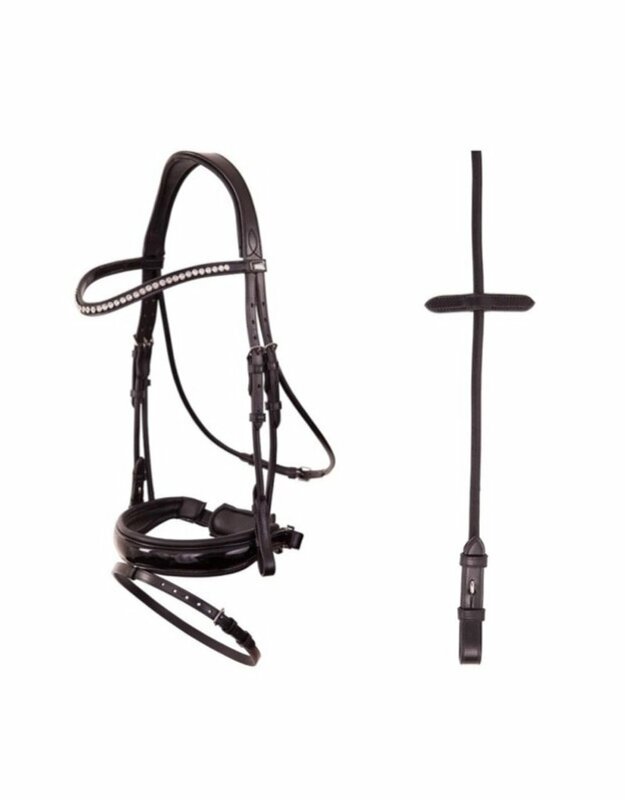 The Bridle is provided with a padded anatomical shaped headpiece and patent crank noseband. The Bridle comes with a rhinestone embellished brow band. The Bridle comes with reins. A shining beauty!